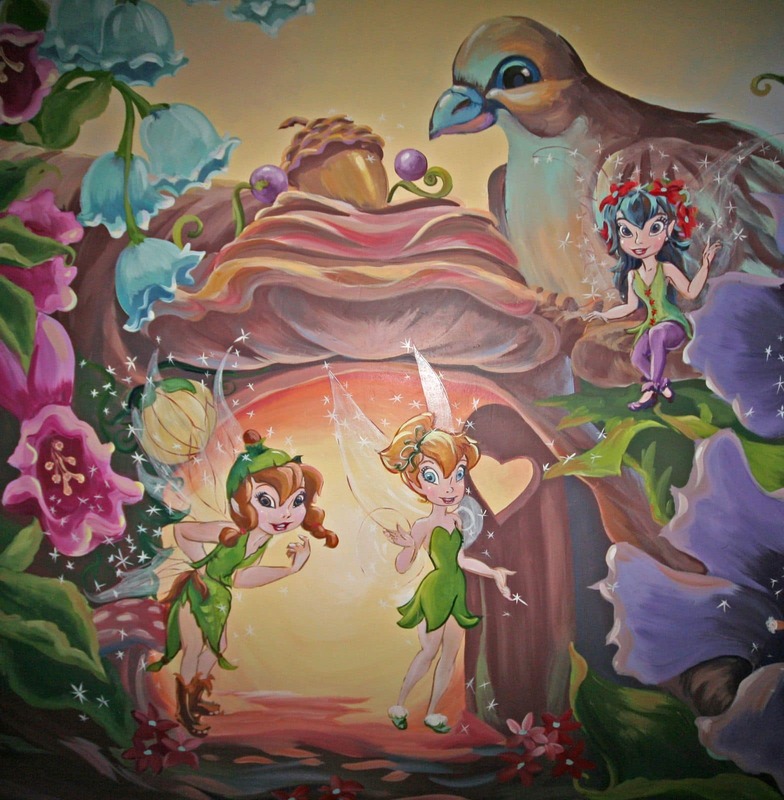 My daughter is a Tinkerbell fan. 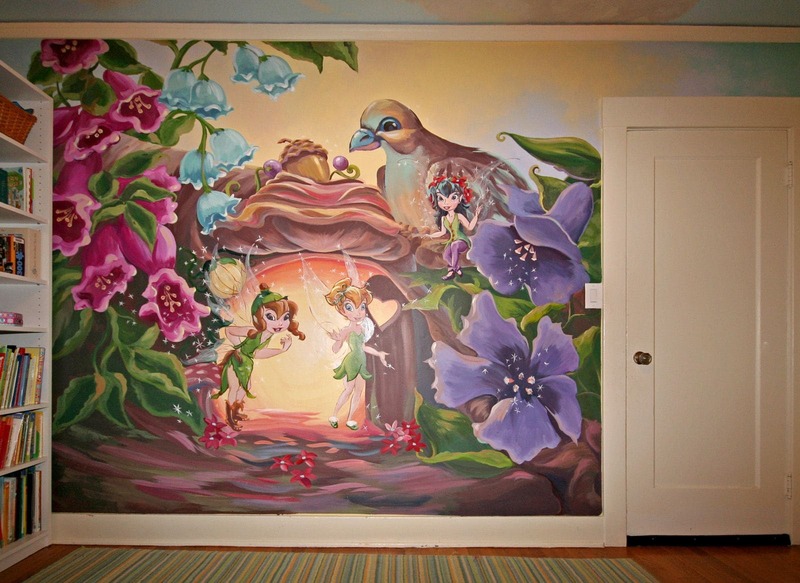 She has been wanting a tinkerbell mural for a couple years now. Her persistence paid off, and now I have another satisfied customer in my own house! She won’t even let me put hooks up over the mural. The fairy wings and fairy dust glow in the dark.